This is probably the most important one. 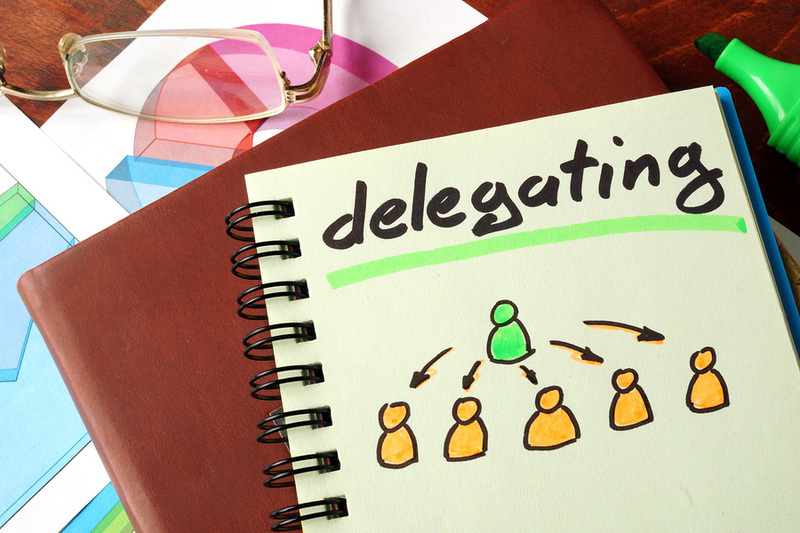 I know, everyone tells you to delegate, but what does it REALLY mean? What if you’re a one man show, or what if you’re the only one in your company that can do what you do? 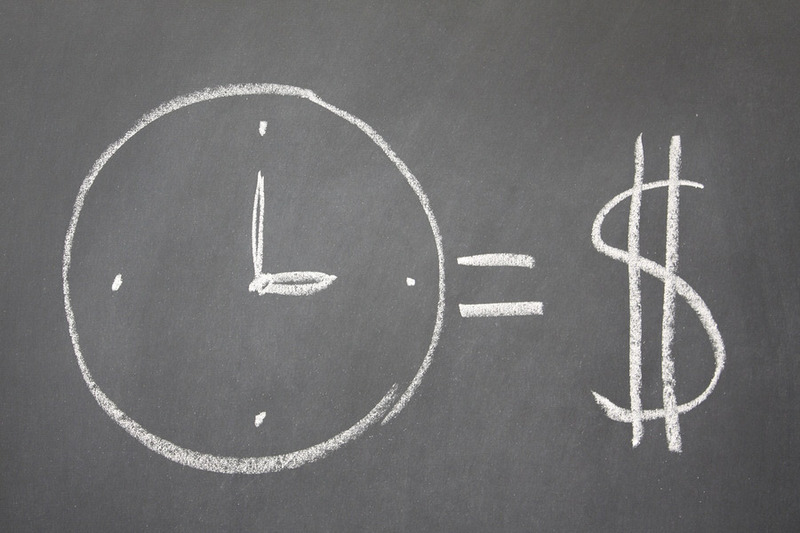 Well, the important question you must ask yourself is: How much is my time worth? If you know that your time is best spent on doing something that makes money (prospecting, selling, booking clients, serving clients, whatever it is), then you should focus on that. If it takes you 2 hours every day to file all your receipts, then find out how much you would make if you were actively working instead. Let’s say you make 40 dollars an hour when actively working, then you’re technically losing 80 dollars by filing receipts and can easily afford to hire someone to do it for you. Pay them 50 dollars, and you are still at a 30 dollar profit.Even if you are working a corporate job, you can outsource tedious tasks on platforms like UpWork – research, basic coding, basic design stuff, etc. I have a friend who works in sales for a big corporation, and I taught him how to outsource all the tedious tasks, such as research, finding information and emails, and even lead generation. If you have employees, make sure they are focusing on what they are hired for. Apply the 80/20 rule – 20% of their efforts should bring 80% of their results. If they are all over the place, you are not utilizing their strengths. Also very important. I used to be like many others – 40 tabs open in my browser, a separate screen with all my social media accounts blinking and tempting me to check every few minutes, the email client open and dinging every time an email popped in (which is about every 10 seconds), forcing me to satisfy my curiosity by checking it immediately. This, of course, resulted in small tasks taking several hours to complete. Here is the secret: You don’t have to check social media and emails every minute. It’s a complete waste of time, and it makes you lose your focus. When it’s crunch time, I close down all social media tabs, I put my phone on vibrate (or even turn it off), put on a timer for 40 minutes and crunch away like nothing else. Then I take a 5-10 minute break, drink some water, stretch, jump around a bit, maybe do some squats and pushups, and then I crank out another 40 minutes. It’s absolutely amazing what you can get done in about two hours of laser focused work. It’s kind of like the “day before going on vacation” phenomenon, where you get a full week’s worth of work done in a day, but every day! This is how effective people work 4-6 hour days, or get twice or three times as much done as most other people every day, allowing them to work on more things at the same time. Meetings… The biggest waste of time in a professional environment. I can absolutely guarantee that a vast majority of all your meetings are a complete waste of time and resources. Not only are you occupying multiple people’s time (let’s say you have 10 people in there), but you’re keeping them from doing their job! Let’s say they are all billing $100 an hour, and you’re paying them $50 an hour. The meeting is now costing you $1500/hour. If I’m paying 1500 bucks an hour for a meeting, trust me, it better be ridiculously good! Yes, you need to brainstorm for your new product launch. Yes, you need to keep people updated (and yourself), but be effective. During my morning meetings, every staff member gets 2 minutes, that’s it. The whole group doesn’t need to know details about everything, just enough to be updated on what’s going on. Don’t take meetings with people unless you have pre-qualified them (read my post about pre-qualifying here), and let people know that if they feel that they don’t need to be there, then they shouldn’t be there! This book changed my life. 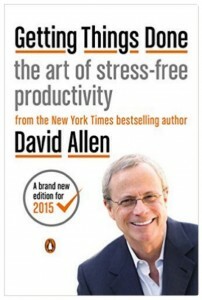 David Allen presents the most awesome organizational system I’ve ever seen. Read it, follow his advice, and see the changes in your life. This is a book that doesn’t need a lengthy review. There is a reason it has over 1000 5-star reviews on Amazon. Just take my word for it and go get it now if you don’t already own it. There, I hope these things help you become more productive. Don’t hesitate to comment below or share on social media if you like the post! Really enjoy your take on things. Hope you can continue keeping your views fresh.